Whether your baby is already here or on the way, parents need to be vigilant about the safety of their home. Most fatalities for infants under the age of one are from suffocation, but choking and other hazards are also a risk. Create a checklist for babyproofing your home and take a weekend to make sure the following safety basics are covered. Consider how safe your home is in general. Make sure your smoke and carbon monoxide detectors are working. Have a fire extinguisher in the kitchen. Post emergency phone numbers in a prominent place that is easy to access. Purchase plastic outlet plugs for all electrical outlets. Use safety gates at the top and bottom of your stairs. Do you have houseplants? Some are highly poisonous. Babyproofing your home includes identifying plants and finding out whether or not they’re toxic. Now is the time to check your basement and/or garage for hazardous materials. Make sure they’re stored in airtight containers and placed on high shelves. You’ll need to keep them out of reach all through childhood. Begin babyproofing your home in the nursery by making sure your crib meets current safety standards, especially if it’s a hand-me-down over five years old. Bars on newer cribs should be no more than 2 3/8 inches apart. You can get more safety facts for cribs at the Juvenile Products Manufacturers Association website. Make sure the mattress fits snugly inside the crib and use a tight-fitting crib sheet. 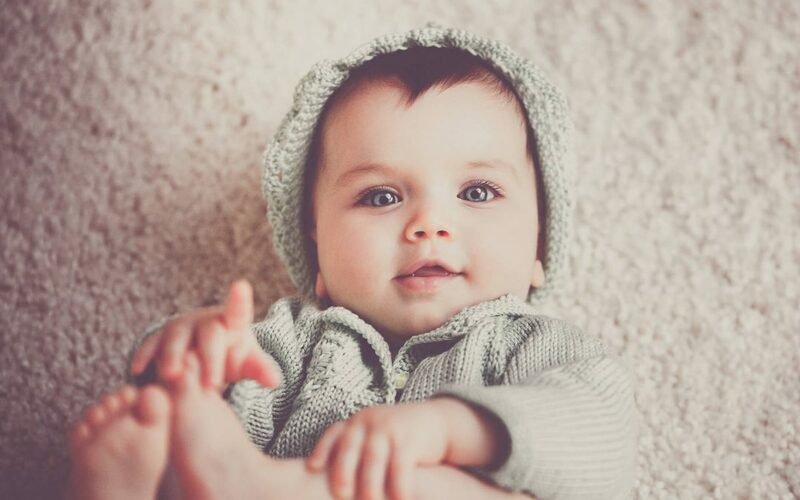 Keep in mind that babies younger than six months can potentially suffocate on pillows, blankets, and stuffed toys. Only buy age-appropriate toys that have been tested for safety. Get into the habit of vacuuming the nursery (and the whole house) often to clean small objects off the floor. Replace corded window blinds with cordless ones. Pay special attention to the kitchen and bathroom when babyproofing your home. These rooms are where most accidents occur. Reorganize both of them and place cleaning supplies, shampoos and beauty products, medicines, vitamins, and mineral supplements in a hard-to-reach drawer or in a cabinet with a safety lock. Don’t depend on child-resistant caps; a curious and persistent toddler could open them. Bottom cabinets, even with a safety latch, should only hold safe objects such as pots and pans, plastic containers, or paper products. Don’t leave any small appliances unplugged with the cords dangling. When cooking, always turn pot handles toward the back of the stove. Don’t leave babies and toddlers unattended in the kitchen or in the bathroom. Keep a good traffic flow pattern in the living area for crawling babies and toddlers to prevent falls and collisions with furniture. Add cushioned corner guards for sharp-cornered furniture. Don’t place furniture near windows where a baby could crawl up and fall out. Mount bookshelves, TVs, entertainment centers, pictures, and mirrors securely to the wall with heavy-duty hardware. Clear away and store breakable or otherwise potentially dangerous items. Secure electrical cords with electrical tape when babyproofing your home. Babyproofing your home is one of the most important tasks for new parents, and these are just a few important tips to remember. Go around your home and complete all of these measures, and take care of anything else that may be dangerous for a small child. If you don’t have children but have friends or family with children who visit, it’s still a good idea to babyproof your home. Appalachian Inspection Services provides home inspection services to Western North Carolina. Contact us to request an inspection.